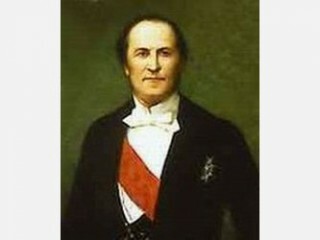 Baron Georges Eugène Haussmann , as French prefect of the Seine, carried out under Napoleon III a huge urban renewal program for the city of Paris. During the administration of Baron Haussmann, 71 miles of new roads, 400 miles of pavement, and 320 miles of sewers were added to Paris; 100, 000 trees were planted, and housing, bridges, and public buildings were constructed. Elected a member of the Academie des Beaux-Arts in 1867, the year of the International Exhibition in Paris, Haussmann stated, "My qualification? I was chosen as demolition artist" (Memoires, 3 vols., 1890-1893). Georges Eugene Haussmann was born in Paris. Exceedingly ambitious, he studied law solely with the aim of becoming an administrator within the prefectorial corps. He was appointed prefect of the Seine in 1853. Three-quarters of the I ˆle de la Cite was destroyed to create a central area for the Palais de Justice and police headquarters and barracks. The Boulevard de Sebastopol, beginning at the Gare de l'Est, was extended across the I ˆle to provide a north-south route across Paris. The Gare du Nord was linked to the business district by the Rue La Fayette. Radial roads linked the core of the city to the suburbs. A green belt around the fortifications linking the Bois de Boulogne in the west to the Bois de Vincennes in the east did not materialize. J.M. and Brain Chapman, The Life and Times of Baron Haussmann: Paris in the Second Empire (1957), is good background, although opinionated, particularly on Garnier's Opera, and not well illustrated. Sigfried Giedion, Space, Time and Architecture: The Growth of a New Tradition (1941; 5th ed. 1967), contains superior illustrations. See also David H. Pinkney, Napoleon III and the Rebuilding of Paris (1958). View the full website biography of Georges Eugène Haussmann.